Automated vs Manual Information Systems — Mickler & Associates, Inc.
Last week, I got to writing about data and what an information system was. Today, I'm going to build upon those discussions and talk about automated versus manual information systems. Okay, here's an exercise that's happy fun time. 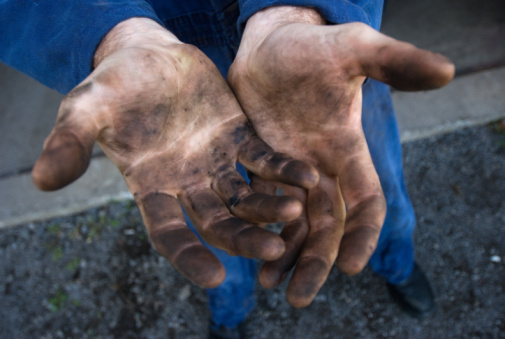 Let's get those hands dirty. First, I want you to open Facebook and write down - by hand - all of the names of your friends on paper. Next, I'd like you to re-enter those names into a spreadsheet because we're going to use that spreadsheet to conduct an email marketing campaign. Ready? I know you're excited about doing this ... ready?! Yah, not so thrilling, but let's examine this information system for a minute. There's a heavy labor component required in name acquisition, that is, you have to manually write down the names of your friends to a piece of paper. That activity is very time consuming for a human being. It takes a relatively long time to do that work in comparison to a computer which can do it in a matter of milliseconds. There's a manual transcription from paper to electronic media that must take place. Within this one process, it's like we've purposefully created a vinyl record from an MP3, then played our vinyl record to listen to and record the sample again, and then, we copied the sound to another MP3. Different media, same information transformed (three times! ), no functional difference. Further, once copied to electronic form the second time, the data is stale: we'd need to go back every day and do the same process by hand again. Also, the same information has been duplicated in two places. From a security standpoint, this is more difficult to control. The paper copy is inherently without controls and cannot be audited. 2. The data transcribed into the next system was erroneous - like, a name was mistyped, for example. And at the end of the day, the compounded errors, duplication of effort, redundant activity, and relatively slowness has cost the money significant dollars in labor cost. For that one process, how dependent are you upon labor? For that one process, where is labor inserting itself where automation could do a better job? For that one process, how is the impact of manual speed, accuracy, and reliability affecting your competitiveness? This gap - the difference between the current, manual information system and a potentially automated information system - represents an opportunity for you. It's the sweet spot strategy that I talked about last month (Reducing Expenses) that helps justify technology spend. It also represents a way for you to easily manage the technology problem on your hands: follow the labor. What real value are they contributing? How is the impact of labor harming or helping the business model? Next: information as an asset.